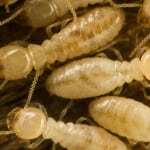 Termite Treatments, Lakeland | The Other Side Pest Control Inc. Termite Treatments, Lakeland | The Other Side Pest Control Inc.
Our trained pest control experts can perform termite treatments on your Lakeland, FL property, eliminating the colonies completely. 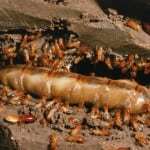 Termite Treatments in Lakeland – One of the most common pests that we have in our homes here in Lakeland, Florida is termites. Termites can cause severe damage to the structure of your home, leaving it in a weakened state. When termites set up colonies, they move throughout the property in mud tubes that they build, so keep an eye out for these, as they are a clear sign that you have termites. Termites can look very similar to ants, but the main differences are that termites’ antennae are straight or droopy, while ants’ antennae are bent, and the front wings on an ant are longer than the hind wings, while a termite’s wings are about the same size. 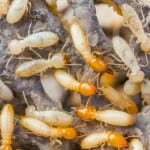 If you do have termites, the best thing to do is give us a call at The Other Side Lawn & Ornamental Pest Control Inc. Our trained pest control experts can perform termite treatments on your property, eliminating the colonies completely. Our termite treatments also include looking around for any other potential problems with pests, so we can remove them if needed. We will do a thorough inspection to make sure we remove all signs of termites from around your home, which may include tenting for complete removal. If we do have to tent the property, you will not be able to stay in the home until we say it’s safe to return. When you use our termite treatments and other pest control services, we provide a 100% satisfaction guarantee. 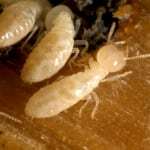 If you are noticing signs of termites or any other pests in your home, call us today for a termite treatment consultation. At The Other Side Lawn & Ornamental Pest Control Inc., we offer termite treatments in Lakeland, Auburndale, Bartow, Plant City, Winter Haven, Davenport, Lake Wales, Brandon, Polk City, Highland City, Crystal Lake, Eaton Park, and Winston, Florida.